I love Timeless Treasures new fabric line called True Blue. Above is the quilt I designed for that line which I called "Portuguese Cupboard". It is available as a free download at the Timeless Treasures site - check it out and look for the fabric line! 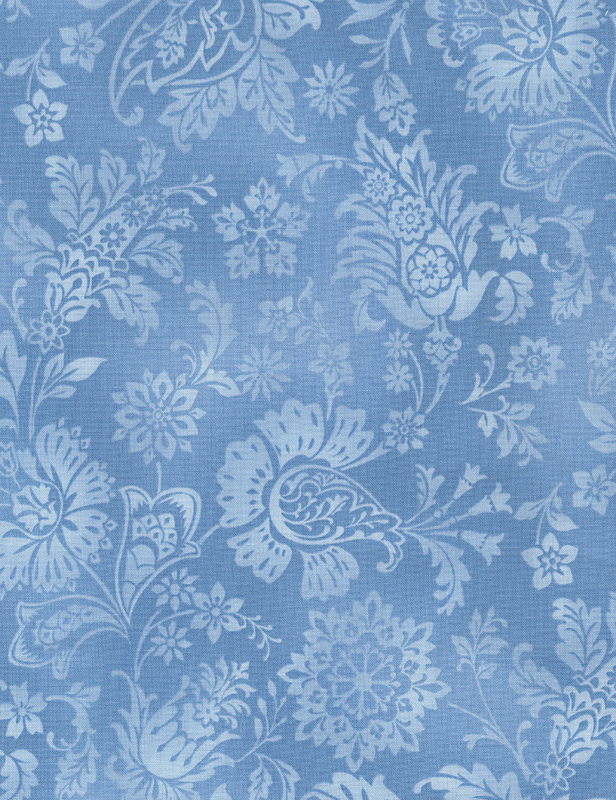 The prints in the True Blue collection (19 in all) are beautiful with tea cups and saucers, delicate flowers, tone-on-tone options... everything to add texture and interest to the quilt. This design is made up of two simple blocks with fabrics carefully placed to form the squares on point which appear on the background. Easy-to-follow instructions help get this project cut and put together in no time at all. Timeless Treasures has great projects on their site so, after you download Portuguese Cupboard, check out the other patterns. They are worth it! Love the design! 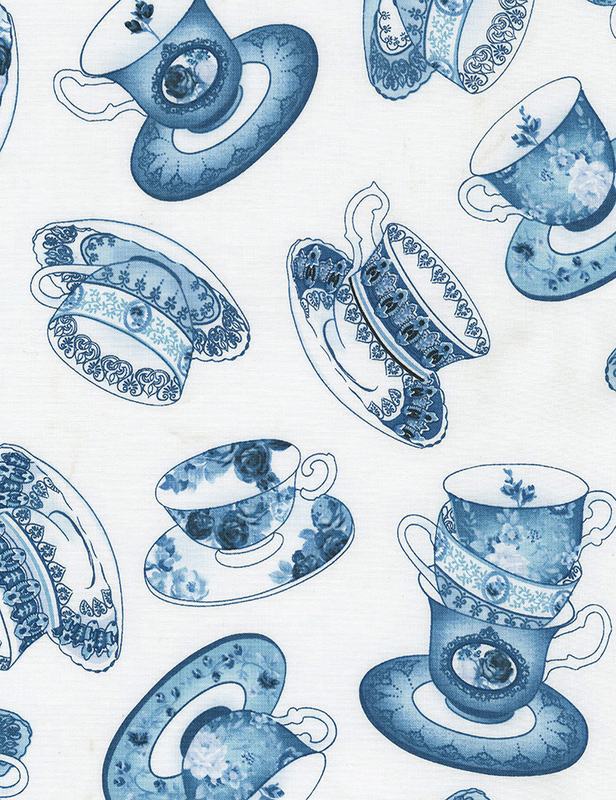 And it really does remind me of Portuguese porcelain that I have at home! 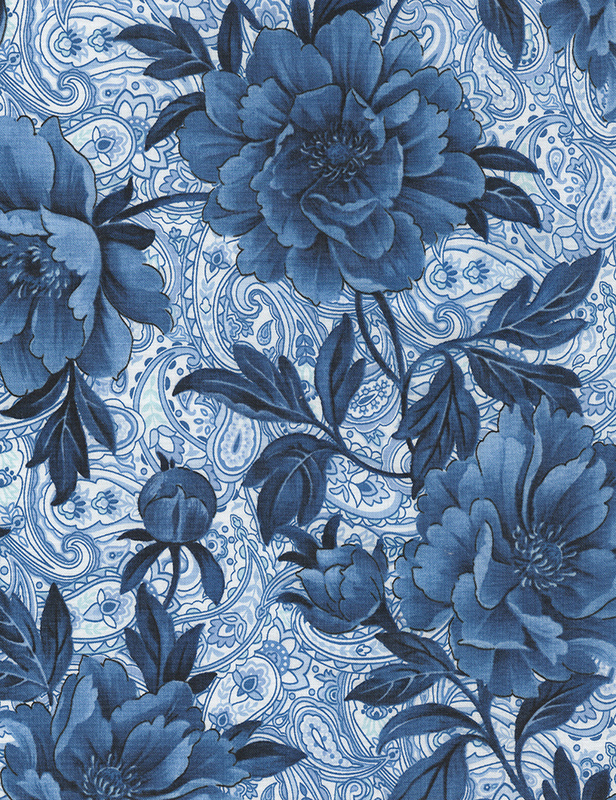 it's amazing how this pattern gives a whole different look to florals. Nice job.